MK Esawi Frej calls on MK Basel Ghattas to set an example and resign from the Knesset rather than wait to be kicked out. 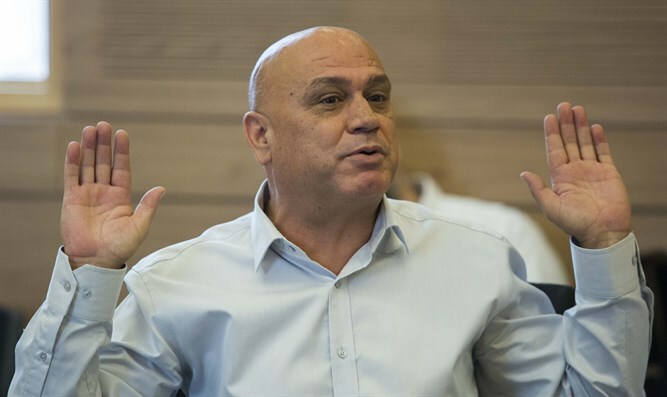 MK Esawi Frej (Meretz) on Tuesday evening called on MK Basel Ghattas (Joint List) to resign from the Knesset, following reports that he admitted to police investigators that he smuggled cellular phones to terrorists in Israeli prisons. Meanwhile, Channel 2 News reported on Tuesday, Ghattas is being pressured to step down by members of his own party following the revelation that he admitted to the charges. A statement on behalf of Ghattas, published after the Channel 2 News report that he admitted to the charges, clarified that he "did not admit today that he brought mobile phones [to the prison], as claimed in the report. MK Ghattas answered all the questions and stressed that he did not violate the security of the state, and has denied the allegations against him." Meanwhile, Jerusalem Affairs Minister Ze’ev Elkin (Likud) repeated his call on the members of the Knesset to act to remove Ghattas from the Knesset. "I call again on Yair Lapid, Buji Herzog, Tzipi Livni and Zehava Galon to join our initiative to oust him from the Knesset. You are well aware that the legal process will take between one and two years, and that’s why every day that Basel Ghattas continues to serve in the Knesset and enjoys a salary and immunity, he does it thanks to you,” said Elkin.